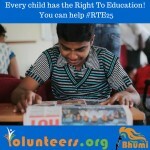 Right to Education Act (RTE) is still not being implemented in the city as no student from the economically weaker section (EWS) has been recommended by the district education department since 2011 for admission in any private school. 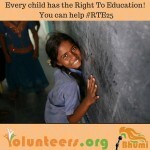 RTE may have made a fundamental right for children between 6 and 14 years to have education and making it mandatory for private schools to reserve 25% seats for economically weaker section of students. But, any legislation is as good as its implementation else its purpose is defeated. To get their children enrolled under this category, parents can register themselves with the district education officer who after verifying their details will send the names of the students to schools, area wise. Private schools are also completing the formality by merely advertising the information regarding 25% seat reservation for EWS students. But in reality, some schools are filling these seats by admitting the wards of their Class IV employees. Pradeep Kumar, a parent, lamented, “This Act is not being implemented in the state as a child is first asked to take admission in a government school, which in turn can’t deny admission to any child as per government’s direction. So when no government school will ever refuse admission to a child, then how the 25% EWS category seats in the private schools will be filled, he said adding, “Last year, I decided to admit my child in a private school under this category but, when I contacted the district education office they asked me to get my kid admitted in a government school. How can I send my child to a government school which has no facilities? In Ludhiana, government primary schools have poor facilities and non-existent infrastructure where, students are mostly sitting in the open, under the trees or in corridors. That’s why I got my son admitted in a private school where I am paying the full fee. I can’t afford to pay Rs 1,200 per month, but I want my son to get education from a good school and become a better citizen. Chandigarh: Students belonging to economically weaker sections (EWS) along with their parents staged a protest in Rohtak on Wednesday seeking admissions to private schools. They protested under the banner of ‘Abhibhavak Sangh’ staged a march in the city before submitting a memorandum to the education officials. A committee member of the Sangh, Ranbir Singh Dahiya said that the private schools were reluctant to admit the students from the economically weaker section despite the directions of the government. According to Dahiya, private schools have also increased the fee apart from adopting the books of private publishers instead of the National Council of Educational Research and Training (NCERT) . The private schools owners say that the state and Centre should reimburse the fee under the Central government’s Right to Education (RTE) Act. However, the state government doesn’t seem in a mood to oblige the private schools on it. As per the rules, the admission of 25% students from EWS for class I are done under the RTE Act. As per the Haryana School Education Rules, 10% students from EWS can seek admission in class II and they have to pay the fee equivalent to government schools. Chandigarh: Of the 683 seats reserved under the Right To Education Act for the economic weaker section (EWS) and disadvantaged students, 128 are lying vacant in some of the unaided, recognised private schools of the city. The new academic session had started six months ago. Some of the schools mentioned in the list are Shishu Niketan Model School, Sector 43; Banyan Tree School, Sector 48; Gyandeep Model High School, Sector 20; St Stephen’s School, Sector 45 and Manav Mangal School, Sector 21. Of the total 82 private schools in the city, 57 are bound to admit students under 25 percent EWS category. Of those 57 schools, only one – Vivek High School, Sector 38 – has not submitted its details yet as to how many students it has admitted under the reserved category. Though the school had claimed the minority status last year, the UT education department has not accepted it yet as the judgment in the case has been reserved by the National Commission for Minority Educational Institutions (NCMEI). The admission process in these schools was completed by March, while the schools gave the required information in regard to the EWS seats by the end of May. Some of the schools that have filled up all their EWS seats under the RTE Act, include Bhavan Vidyalaya School in Sector 33 with 25 seats, Chitkara International School in Sector 25 with 16 reserved seats, Stepping Stones School in Sector 38 with 20 seats, Strawberry Field World School in Sector 26 with 40 seats, Delhi Public School in Sector 40 with 37 seats and St Soldiers International School in Sector 28 with 22 seats. The schools, where the most number of seats are still vacant include Shishu Niketan Model School in Sector 43 with 11 seats, St Stephen’s School and Shishu Niketan in Sector 22 with seven seats, Bal Niketan Model Senior Secondary School in Sector 37 with 22 seats and Adarsh Public School in Sector 20 with four seats. Most of the school heads stated that the seats have not been left vacant deliberately, but because there are no more EWS students in their areas who came to apply for admission. The schools that had not filled the requisite number of EWS seats under the UT administration’s land allotment scheme, the UT estate office had issued them showcause notices for which they have been called for a hearing beginning September 24 onwards. Ludhiana: Not a single seat was filled in any of the 88 private unaided schools in Ludhiana district under the Right To Education (RTE) Act in the past three years. A report prepared by the district education office on the number of students who took admission under the 25% quota of the RTE Act threw up the startling fact. It showed that though 2,43,505 seats were reserved for economically-weaker section children in private unaided schools in the past three years, not a single students was enrolled under it. The additional deputy commissioner (general) had asked the district education department to prepare report on the total number of students enrolled in the past three years, total numbers of students who took admission under 25% quota of the RTE Act and the number of seats vacant under the RTE quota. The report submitted by the district education office (elementary) stated that 9,74,024 students from class I to class VIII enrolled in private unaided schools (2,97,859 in 2012-13, 3,34,652 in 2013-14 and 3,41,513 in 2014-15). And the number of reserved seats were 74,464, 83,663 and 85,378 (total 2,43,505) in 2012-13, 2013-14 and 2014-15, respectively. But not a single seat was availed of by any EWS student. The Right to Education Act was introduced in 2009 under which every school, (government, aided and private unaided) has to reserve 25% seats between class I and class VIII for underprivileged students in the age group of 6 to 14 years. The district education office (elementary) also wrote that neither any candidate seeking admission under the RTE Act approached the office nor any private unaided school. As children from the EWS category did not take the 2,43,505 seats, these were filled by other students.